We strive to provide a variety of benefits available only to our members. Start building relationships with local business professionals. The best way to find what you’re looking for in the Delphos area. View the local Business Directory or check out the Event Calendar. Your one stop shop for everything you need to know. Being part of the chamber leads group has provided me with the opportunity to meet and network with key individuals from other local businesses. Everyone involved has a servants attitude and focuses on ways they can help each other. I find the collaboration and sharing of ideas to be very beneficial and enjoyable. the other business’ in the group, but I have also been able to reach out through the leads members to contacts/cohorts of their own. group puts us in direct contact with other business leaders. allowed us to grow our team and hire utilizing Ohio Means Jobs. opportunities to network and gain knowledge. 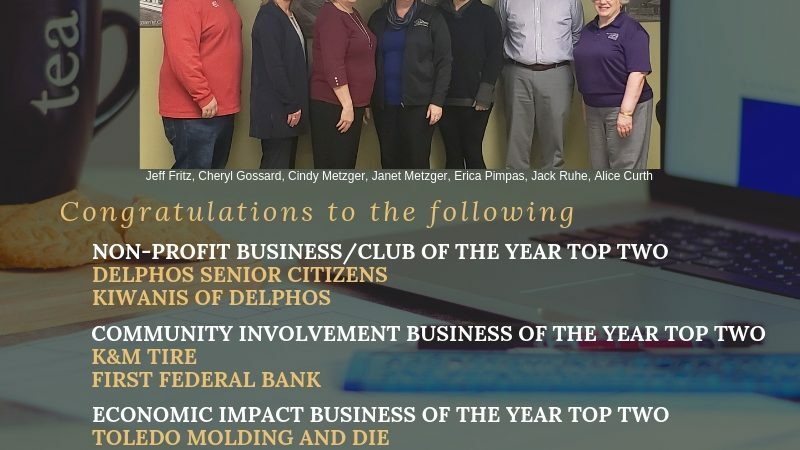 The Delphos Area Chamber of Commerce and it’s member businesses are very active in the community. Stay informed with what we are up to in our News & Events section. Follow Ribbon Cuttings, Chamber Events, and other member business events.